Following a preview early last year, Renault and Nissan have officially unveiled their new Common Module Family (CMF) architecture. 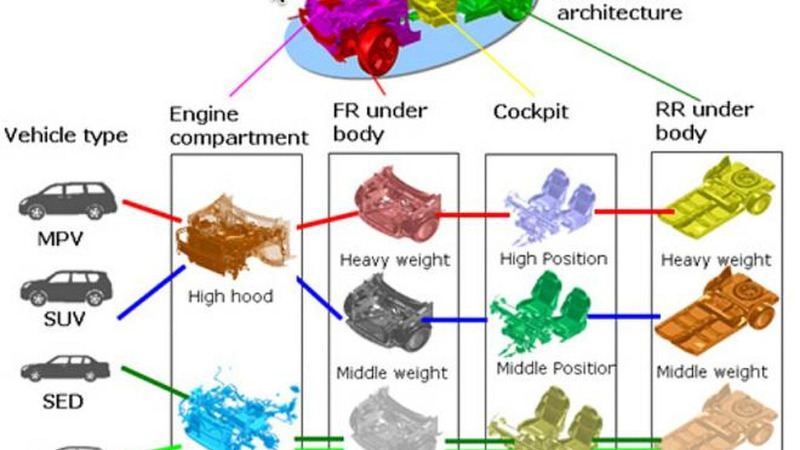 Designed for maximum flexibility, the CMF architecture isn't a platform in the traditional sense as it's a mixture of different "Big Modules" such as the engine bay, cockpit, front underbody, rear underbody and electrical components. This means the CMF architecture can be used on everything from compact cars to large crossovers since only individual modules need to be changed. The architecture will go into production later this year and underpin the next-generation Nissan Rogue, Qashqai and X-Trail. Renault will begin using the architecture in late 2014 where it will be used on the Espace, Scenic and Laguna replacements. 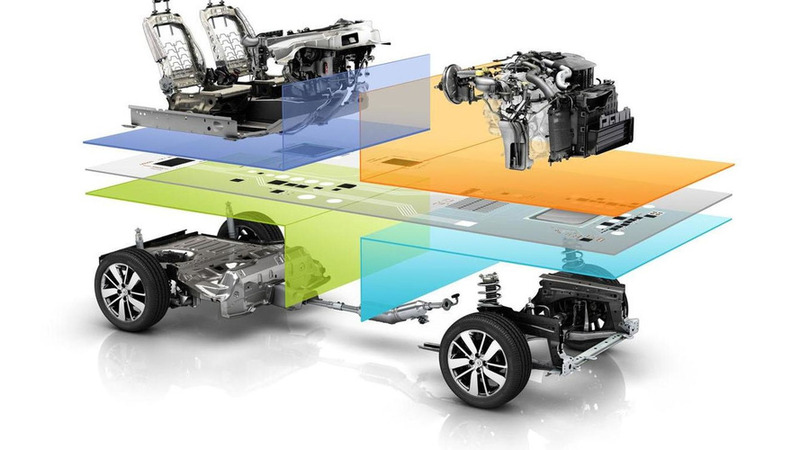 Thanks to the Common Module Family's production synergies, Renault-Nissan estimates it will reduce engineering costs by approximately 30 to 40 percent. The increased parts commonality is also expected to reduce expenses by roughly 20 to 30 percent.